With more and more people having the option these days to watch shows on their digital devices, it may seem as though television advertising is going the way of the dinosaur. After all, how can advertisers reach people via television, when nobody appears to actually be watching television, anymore? But statistics show that television is still a formidable media force, and therefore remains a key player in the advertising game. Consider these numbers: Last month, 28.3 million viewers tuned in to watch the NCAA March Madness games – its highest viewership in 22 years. Out of that 28.3 million, 44.7% of people watched the games on their televisions, with just 27.2% on their computers and 16.3% on their mobile devices (the remaining 11.8% listened to the radio), making television the obvious winner. Also, the 2014 Oscars telecast’s viewership reached a 10 year high, while the series finale of groundbreaking drama Breaking Bad was watched by an impressive 10.3 million people. Viewers want to be sure they catch everything that might happen on the event or show they’re watching. After all, one never knows when a player will make the winning touchdown five seconds before the end of the game, or when a celebrity will have an unfortunate “wardrobe malfunction” (both of which could possibly happen during the same event). But while digital viewing options are convenient, they are not always foolproof. The live stream of an event may require a specific subscription or upgrade from the local cable channel, or it might have some hiccups in its performance (or go out entirely). Also, some networks diligently prevent unlawful uploading of their materials to channels such as YouTube. All of these things add up to a less than stellar viewing experience. But television offers far more dependability. Barring something such as blackouts due to inclement weather, it is far less likely that someone will have the show they’re watching suddenly go out on them, or be prevented from watching it in some other way, thus ensuring they won’t miss anything. When the Beatles made their American debut on The Ed Sullivan Show, or when Neil Armstrong walked on the moon, almost everyone was glued to their television sets, with an overwhelming sense of camaraderie knowing they were sharing in those great moments. One might think, “Well, all they had back then to view those things was television! That doesn’t mean anything today.” Doesn’t it? In April 2011, nearly 23 million Americans woke up at literally the crack of dawn to watch the royal wedding of Kate Middleton and Prince William of the United Kingdom on TV. That’s a lot of people to watch the nuptials of two people they had never met, from a country they fought to gain their freedom from over 200 years ago! But people knew what they were watching was more than just a real life fairy tale – it was history unfolding before their eyes, and they wanted to share it with the world. Television helped make that happen. So what does all this mean for advertising? Simply put, more viewers for these events means more chances of your commercials being seen. During March Madness there was a 92.7 Commercial Tuning Index (CTI), or how much of the audience actually watched the commercials. That is a huge chance to have your commercials seen! But keep in mind, it’s not enough to just be seen – you also want to be remembered. With an advertising campaign that stands out from the rest, and helpful response tools like memorable vanity 800 phone numbers, you can help ensure your commercials will be as unforgettable as the television event, itself. Research supports this theory as well. Take, for example, a research study conducted on the recall of phone number in broadcast media, including television. The data shows that consumers have a 9x (nine times) greater likelihood of remember a vanity phone number, like 1-800-NEW-CARS, then they do of a numeric phone number. Previous studies also revealed that 64% (sixty-four percent) of businesses using phone numbers in their TV advertising, were using vanity phone numbers. Why? Because they are proven to generate more inbound phone leads for businesses, and 65% (sixty-five percent) of companies prefer phone leads to online leads like web forms or click-to-chats. 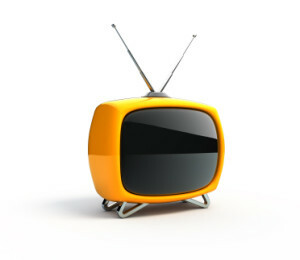 And, for advertisers in the DRTV space – there are entire channels devoted to companies selling via television! It’s a huge business, as you well know, and has been thriving for many years. This is because people are watching TV, they’re picking up the phone to buy (or going online), and because it’s profitable. It wouldn’t be happening if it wasn’t a positive revenue generator. As long as there are championships to compete for or awards to give out, as long as favorite shows say their goodbyes or real life-changing events happen around the world, people will be watching television. And as long as people are watching television, television advertising will be safe from obscurity. Don’t miss out on your chance to take advantage of some great advertising opportunities, and reach more people than ever before.